The pervasive narrative on Wall Street is that the collapse in oil prices will, any second now, restore consumers to their profligate spending ways. In fact, financial pundits have been calling for plunging energy prices to imminently rescue the economy for the past 18 months. Most importantly, these same gurus, who love to espouse the benefits of a collapse in oil prices, never connect the dots to what this collapse says about the state of global growth. Instead they argue it is solely a function of a supply glut that is the result of increased production. West Texas Intermediate Crude (WTI) fell from $105 a barrel in June of 2014, to well below $30 in January of this year. The cratering price of WTI did not occur from a sudden surge in crude supply, but rather due to the market beginning to discount future plummeting demand coming from a synchronized global deflationary recession. According to the U.S. Energy Information Administration, world crude oil production has increased by just 3.3% since June 2014. Therefore, it is sheer quackery to maintain that such a small increase in crude production would result in prices to drop by 75%. Oil prices are either discounting an unprecedented surge in supply, or a rapid destruction in demand. The Baker Hughes Rig count on an international basis is down by 218 rigs y/y. Therefore, despite any marginal increase in new supply from the lifting of Iranian sanctions, the drop in prices has to be due to the market’s realization that demand for this commodity is headed sharply south. The Keynesian elite gathered in Davos Switzerland this past week to pontificate on global economic issues and to strategize the engineering of The Fourth Industrial Revolution. This new so called “revolution” includes a discussion on the future of Artificial Intelligence. Judging by the comments coming from most of the list of attendees, it seems obvious the intelligence on display was indeed faux. But the most important take away from thisvenue was that central bankers have made it clear to the markets that the level and duration of quantitative counterfeiting knows no bounds. Central bankers love to use words like instruments and tools to describe the methods and strategies available to them because it makes what they actually do appear less primitive. But truth be told, the only instrument or tool central banks have is the impious power to create money and credit by decree. QQE–Quantitative and Qualitative Monetary Easing program. As if adding that additional “Q” somehow makes it more palatable and effective than the generic form of Quantitative Easing. When asked by a reporter if the Bank of Japan (BOJ) had more room to ease, Kuroda glibly chuckled that the BOJ has “only” purchased 33% of all existing Government Bonds and conveyed the willingness to monetize every available sovereign debt note issued by the insolvent government of Japan. And since Mr. Kuroda thinks destroying your nation’s currency is funny, he certainly has a lot more than Mr. Draghi to laugh about. The ECB’s balance sheet stands at roughly 25% of the Eurozone’s Gross Domestic Product; while the BOJ boasts a whopping 78% of Japan’s GDP. In fact, it wasn’t long after Davos that Kuroda stepped up his assault on the yen by announcing Friday that the deposit rate will move 0.1% into negative territory starting February 16th. Apparently, printing 80 trillion yen a year isn’t wrecking the currency fast enough for the BOJ. As of Jan 20, 2016 the BOJ’s balance sheet had risen to 389.6 trillion yen. At the start of QQE in April of 2013 its balance sheet was just 174.7 trillion yen. For those keeping track at home that is a 123% increase in the monetary base…and they are just getting started. All this makes you wonder if the additional “Q” really stands for central bank “Quackery”. Mr. Kuroda averred he has two thirds more JGBs to buy before he runs out of sovereign debt. But once all JGBs are owned by the BOJ the money printing won’t stop. The BOJ President said he will not balk at buying much more of the so called “lesser quality assets” such as equity ETFs and Junk bonds. But buying assets that have a lower quality than a 0.1%, 10-year Japanese bond is a difficult feat to accomplish! Especially in light of the fact that the nation has a debt to GDP ratio of 250% and has an inflation-obsessed central bank. Turning back to Europe’s Chief Counterfeiter Mario Draghi, he has been buying 60 billion euros a month worth of European sovereign debt and has being do so for quite some time. The total goal had been to add 1.2 trillion euros ($1.4 t) to the ECB’s balance sheet; taking the total up to 3.3 trillion euros. However, that 60 billion euro per month QE program was extended until March 2017 less than 60 days ago. But now, less than two months from expanding the program, he is still not satisfied with rate of euro dilution and told the markets he’s ready to do more! It is becoming obvious to the worldwide investment community that these central bankers will not quit printing money until inflation becomes an intrinsic and sustainable aspect of the global economy. But the last seven years has clearly taught us that QE is great for asset prices but is ineffectual at providing viable economic growth. We don’t have to look any further than Japan for this proof. In nominal terms Japan’s GDP is up a measly 5.5% since the currency wrecking regime known as Abenomics took control in December of 2012. Meanwhile, the Nikkei Dow has surged over 100% during that same timeframe. It is also becoming obvious to the equity markets that there is no escape from this monetary madness. After all, is there anyone who really believes that Kuroda can finally stop printing money when inflation eventually hits his arbitrary 2% target? The central bank already owns over one third of JGBs and over half of all ETFs. What will happen to the Japanese stock market once the BOJ announces it will begin winding down ETF purchases; and has started down the path to becoming a seller? And won’t the bond market tank after Kuroda proclaims that its bid for JGBs will be removed? The Ten-year Note must soar from 0.1%, where it is today, to at least where the 2% inflation target now stands. Then throw in a few hundred more basis points for the fact that nation’s tax base cannot service its debt at the higher interest rate. Therefore, since the obvious result would be a complete collapse in equity and bond prices, which would lead to an unprecedented economic meltdown, the BOJ has unwittingly become trapped into an endless QQE program. Indeed, the entire global real estate, equity and bond markets have become completely addicted to perpetual and ever increasing quantities of QE and ZIRP. It is no accident that the S&P 500 began its topping process once QE ended in October 2014. The US equity market also has become reliant on ZIRP and QE to move higher. Asset prices and economies have become wards of central banks and their endless ability to increase the rate of new money creation. Therefore, since the global elites have placed all their faith in the fiat confetti spewed out by central banks, investors would be wise to increase their exposure to the only genuine form of money there ever was…gold. The S&P 500 has begun 2016 with its worst performance ever. This has prompted Wall Street apologists to come out in full force and try to explain why the chaos in global currencies and equities will not be a repeat of 2008. Nor do they want investors to believe this environment is commensurate with the Dot.Com Bubble that caused the NASDAQ to plummet 78% and the S&P 500 to shed 35% of its value. In fact, they claim the current turmoil in China is not even comparable to the 1997 Asian Debt Crisis: when dollar-denominated debt loads couldn’t be repaid and the Thai baht lost half its value, and the stock market dropped 75%. Indeed, the unscrupulous individuals that dominate financial institutions and governments seldom predict a down-tick on Wall Street, so don’t expect them to warn of the impending global recession and market mayhem. 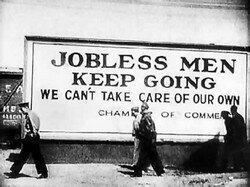 But a recession has occurred in the U.S. about every five years on average since the end of WWII; and it has been seven years since the last one—we are overdue. Most importantly, the average market drop during the peak to trough of the last 6 recessions has been 37%. That would take the S&P 500 down to about 1,300; if this next recession were to be just of the average variety. Wall Street’s proclivity to create serial equity bubbles off the back of cheap credit has once again set up the middle class for disaster. The warning signs of this next correction have now clearly manifested, but are being skillfully obfuscated and trivialized by financial institutions. Nevertheless, here are ten salient warning signs that astute investors should heed as we roll into 2016. The Baltic Dry Index, a measure of shipping rates and a barometer for worldwide commodity demand, recently fell to its lowest level since 1985. This index clearly portrays the dramatic decrease in global trade and forebodes a worldwide recession. Further validating this significant slowdown in global growth is the CRB index, which measures nineteen commodities. After a modest recovery in 2011, it has now dropped below the 2009 level—which was the nadir of the Great Recession. Nominal GDP growth for the third quarter of 2015 was just 2.7%. 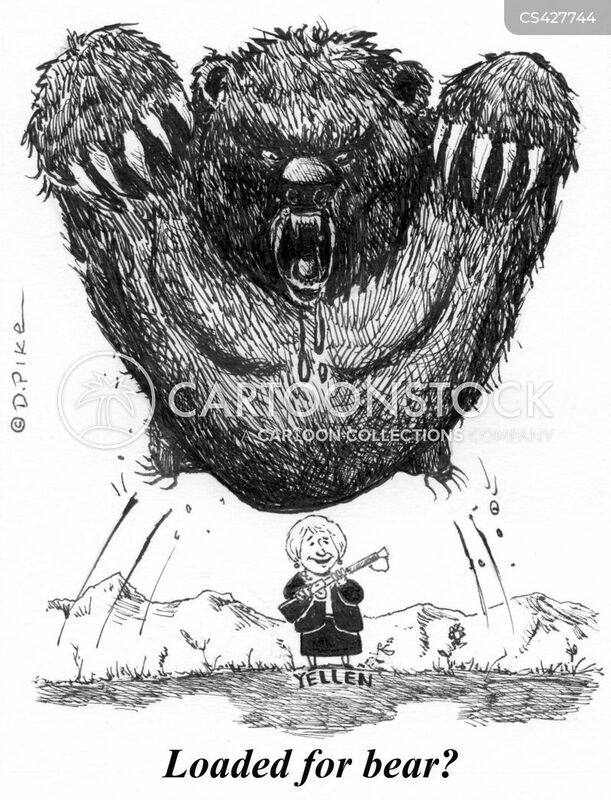 The problem is Ms. Yellen wants to begin raising rates at a time when nominal GDP is signaling deflation and recession. The last time the Fed began a rate hike cycle was in the second quarter of 2004. Back then nominal GDP was a robust 6.6%. Furthermore, the last several times the Fed began to raise interest rates nominal GDP ranged between 5%-7%. The Total Business Inventories to Sales Ratio shows an ominous overhang: sales are declining as inventories are increasing. This has been the hallmark of every previous recession. The Success of Irish Austerity: The Joke is on Krugman. During the late 1990s, Ireland’s economy was booming. This was mostly due to a low corporate tax rate of just 12.5% and an international real estate bubble that boosted global Gross Domestic Product (GDP). For a myriad of reasons Ireland was a magnet for foreign direct investment and the envy of Europe. Buoyed by cheap money, the Irish government embarked on a debt-fueled property boom from 1997 to 2006, which caused the price of an average house to jump more than four-fold. Flush with tax revenue the government also went on a spending binge: investment in Ireland’s health service soared by five times and pay for government workers doubled. Unfortunately, the world-wide financial crisis sent Ireland’s boom economy to bust almost overnight; GDP declined more than 14% in the following two years. And, the government’s budget went from surpluses during 2006 thru 2007, to a staggering deficit of 14.3% of its GDP in 2008. Those who place their faith in a sustainable economic recovery emanating through government fiat will soon be shocked. Colossal central bank counterfeiting and gargantuan government deficit spending has caused the major averages to climb back towards unchanged on the year. Zero interest rate and negative interest rate policies, along with unprecedented interest rate manipulations, have levitated global stock markets. But still, sustainable and robust GDP growth has been remarkably absent for the past 8 years. Equity prices have now become massively disconnected from underlying economic activity, and the recession in corporate revenue and earnings growth is exacerbating this overvalued condition. Throw in the fact that earnings have been manipulated higher by Wall Street’s recent prowess in the art of financial engineering, and you get an extremely combustible cocktail. Last week China’s central bank (the PBOC) cut borrowing costs for the sixth time in a year and eased the reserve requirement ratio (RRR) for the third time this year, in a desperate attempt to achieve the prescribed growth target of 7% off the back of ever-increasing credit issuance. The PBOC lowered the one-year benchmark bank lending rate by 25 basis points to 4.35%, the one-year benchmark deposit rate was also lowered by 25 basis points to 1.5%. In addition to this, the RRR was cut by 50 basis points for all banks, bringing the ratio to 17.5% for the biggest lenders, while banks that lend to small companies and agricultural firms received an additional 50-basis-point reduction to their RRR. 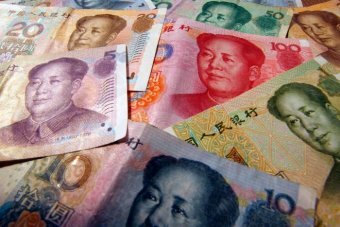 This latest round of easing followed a report showing that despite a surprise devaluation of the yuan in August, economic growth in the third quarter was the slowest in six years. Goldman Sachs Group Inc. estimates the easing will release 600 to 700 billion yuan ($94 billion to $110 billion) into the financial system, keeping borrowing costs at the regime’s all-time low. Seven years of extraordinary fiscal and monetary stimuli are proving ineffective towards achieving the growth and inflation targets laid out by the Federal Reserve. The Consumer Price Index (CPI), the Producer Price Index (PPI) and Gross Domestic Product (GDP) have all failed to grow over 2%. This is because asset prices, at these unjustified and unsustainable levels, need massive and ever increasing amounts of QE (new money creation) to stave off the gravitational forces of deflation. Fittingly, it isn’t much of a mystery that the major U.S. averages have gone nowhere since QE officially ended in October of 2014. According to the highly accurate Atlanta Fed model, GDP for Q3 will be reported at an annual growth rate of just 0.9%. And things don’t appear to be getting any better for those who erroneously believe growth comes from inflation: September core retail sales fell 0.1%, PPI month over month (M/M) was down 0.5% and year over year (Y/Y) was down 1.1%. CPI was down 0.2% M/M and the Y/Y headline level was unchanged. The September Non-Farm Payroll Report came in with a net increase of just 142k jobs. The unemployment rate held steady at 5.1% and the labor force participation rate dropped to the October 1977 low of 62.4%. Average hourly earnings fell 0.04% and the workweek slipped to 34.5 hours. There were significant downward revisions of 22k and 37k jobs for the July and August reports respectively. Just as important as today’s NFP report, but mostly overlooked, was the Challenger’s Job-Cut Report released on Thursday. It showed the September layoff count jumped from 41,186 in August to 58,877. The total number of layoffs year-to-date is 493,431, which is already higher than all of last year and is on a trajectory to be the greatest number of layoffs since 2009. There has been an unprecedented attack on gold and mining shares over the past three years emanating from financial institutions in order to support the government’s supposed success in bringing the economy back to health. And even though gold mining shares are down 85% during this tenure, the case for owning gold-related investments have never been more compelling. The reason to own gold is the same today as it has been for thousands of years: it is the perfect store of wealth. 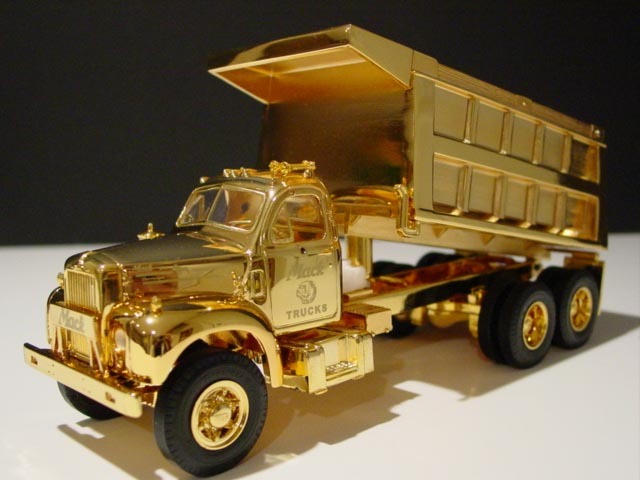 Gold is portable, divisible without losing its value, beautiful, extremely scarce, and virtually indestructible. It is simply the best form of money known to mankind. The case for keeping your wealth in gold only becomes more bolstered when real interest rates are negative, faith in fiat currencies is crumbling, and nation states are insolvent. The massive and unprecedented Quantitative Easing programs and Zero Interest Rate Policies among the Bank of Japan, Peoples Bank of China, European Central Bank and Federal Reserve clearly show that Central Banks have no escape from manipulation of their bond market, currencies, equities and economies. Ms. Yellen’s recent tacit admission that the Fed Funds Rate must remain at zero percent for at least a full seven years was a clear validation of this premise.